Between 2000 and 2007 the Cincinnati Public Schools (Ohio), with help from the Bill and Melinda Gates Foundation and Center for School Change, eliminated the high school graduation gap between white and African American students. That gap has stayed closed through 2011-12. Documents that describe this work include a link to an ABC Nightly News report on one of the participating high schools, a description of the work at another of the high schools, and 3 published newspaper columns (from 2007, 2008, and 2011). See an article on our website here from June 2011. Contribute to strengthening the social and economic vitality of their communities. Provide their program as a choice for both students and teachers involved. Are planned, implemented and sustained by a broad-based team of educators, students and community representatives. Develop strong parent-educator-community partnerships. • Encourage greater community use of school facilities and equipment, and educator expertise. Use the world as a place in which to learn. Include cross-age, interdisciplinary learning opportunities. Combine classroom work and community service. Promote a multicultural, gender-fair curriculum. Create individualized or personalized learning plans for each student. Workshops for Grantees. We convened representatives from each project receiving CSC funds twice each year for planning, renewal and networking. Projects were asked to send teams to these workshops including parents, administrators, teachers, community people and, in the case of secondary schools, students. Outreach coordinators. CSC staff were based in northwest Minnesota (rural Waubun) and northeast Minnesota (rural Grand Rapids). Each worked closely with several planning and implementation sites. Evaluation and Assessment. We worked with each of our implementation sites to help them assess progress toward the CSC goals mentioned above. Assessment tools included standardized tests, surveys we have developed and “authentic assessment” measures. Some of these are drawn from measures being used in school reform efforts around the country. A major evaluation of this project found encouraging results. Schools First™ was an initiative with the Cargill Foundation and the Center for School Change at the Humphrey Institute at the University of Minnesota. Eleven K-8 schools in Minneapolis and a surrounding suburbs were selected competitively to focus on improving basic skills and increasing family involvement in education. These schools comprise public schools and public charter schools. The schools received grant money, technical assistance and opportunities to learn from one other over a span of 4 years. 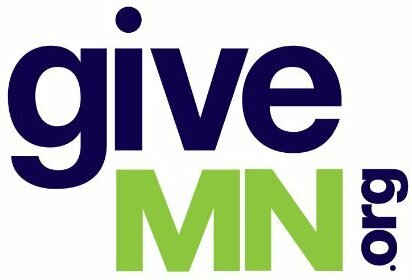 The Center for School Change at the University of Minnesota’s Hubert H. Humphrey Institute for Public Affairs received more than $3 million from the Bill & Melinda Gates Foundation, the Frey Foundation, and a private donor to help create five academically excellent, small charter high schools. The Star Schools are located in or near Saint Paul, Minnesota and opened in September 2004 and 2005. Enroll between 100 and 400 students. Are public charter schools that accept all kinds of students and do not charge tuition. Offer personalized learning programs for every student. Have strong partnerships with businesses and community groups. Worked together through the Star Center to create an innovative collaborative network. The Star High Schools offer students all the advantages of small, personalized learning environments–through their collaboration and community partnerships, they also offer many benefits of larger high schools. Star students have the best of both worlds. The Star Schools Project: A New Model for Urban High Schools, 2009. Star Schools project final report. How did the NCAA frustrate school reformers, families and students throughout the country? The NCAA told outstanding high school student/athletes around the country that their participation in college sports will be delayed or denied because the NCAA rejected as few as one of their high school courses. Some of the students involved have been class valedictorians or National Merit Scholars. The NCAA also frustrated educators all over the country by telling them that their research-based courses are not acceptable preparation for college! (Like who appointed the NCAA to be the great school board in the sky, especially since it has not demanded the right to approve courses of its own members – universities – as it has demanded to do of high schools). The best news is that after 4 years of intense challenges by a vast array of educators, families and some of the nation’s leading newspapers, the NCAA made major improvements in the way it deals with high schools and students. This section has three documents explaining the situation. A guest column by Joe Nathan published in the Sacramento Bee in 1998. A statement signed by more than 100 national high school reform leaders, challenging the NCAA. An article about this statement appeared in USA Today. A column by Joe Nathan, published in the St. Paul Pioneer Press on January 31, 2000, describing progress that had been made in this fascinating struggle. Learning to Lead Report, 2008. Funded by several partners, this is the report that spurred the development of our current Leadership Academy.